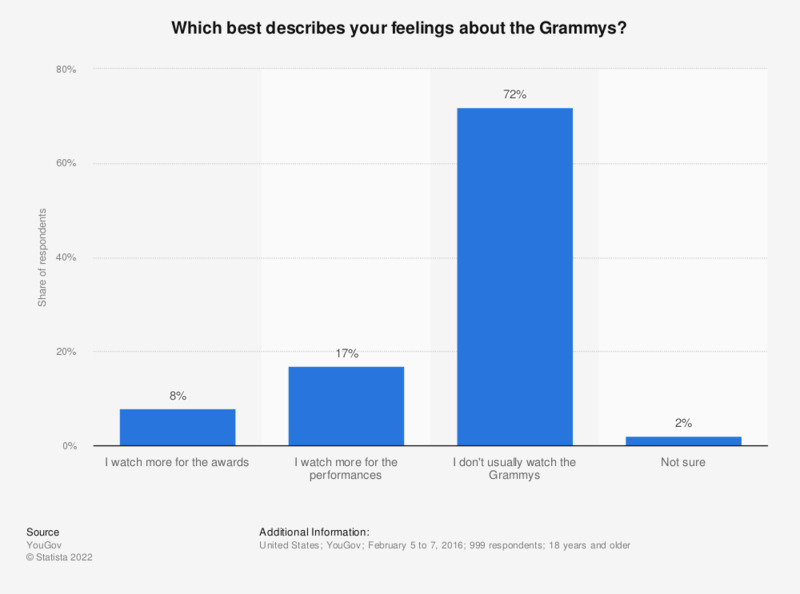 The survey shows the reasons why U.S. audiences watched the Grammys as of February 2016. During a survey, 17 percent of respondents stated they watched more for the performances. If a song, album, or artist is nominated for a Grammy award, does that make you more or less likely to listen to that song, album, or artist’s work?